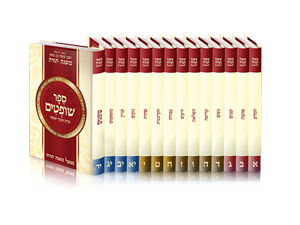 Light Edition, adapted for Learners of The Daily Rambam, in-17 volumes, most volumes contain a single book, except for Service and Purity which were split into a couple of volumes. The text and its elucidation are displayed side by side to make it easier for reading in an integrated fashion. The vision of The Mishneh Torah Project is, that every one will have the opportunity to know the entire Oral Law, in the most comprehensive, concise and orderly manner as brought by Maimonides’ book The Mishneh Torah.